Swimming Pool Company near Willis, TX – Repairs, Renovations and New Installations for inground gunite swimming pools. Your Willis TX Pool Contractor! Owning swimming pool is one of the best ways to spend a hot summer if you live in Bentwater, Falcon Sound, or Point Aquarius, or near New Waverly Texas. Your Pool Builder provides swimming pool remodeling and construction services to Willis, TX homeowners around Lake Conroe including 77318 zip codes. We specialize in the quality construction of inground gunite swimming pools and spas around Montgomery County. Thank you for considering Your Pool Builder to be your Local pool contractor in Willis, TX. Based out of Conroe, we provide our pool installation services near Willis including zip codes: 77318, 77378, 77358. We know this is an important decision and a big investment so we are privileged to be given the opportunity to tell you our story and show you how swimming pools and spas should be built. 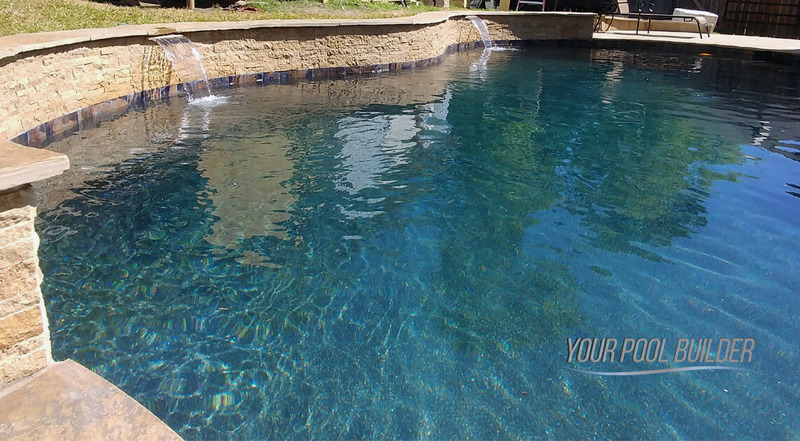 With Decades of pool building expertise in Willis around Lake Conroe, we have the experience and skills required to create what you envision into your ideal backyard oasis. Did we mention that we help you after the pool is built with ongoing pool services? There is a lot more to the process than the construction of the pool. Having so many years of experience designing so many pools we have to keep up with changing trends and products. Not only can we incorporate customized features into your pool design but also power them up with advanced technology features. Designing and building a new pool creates a relationship and we make sure that our staff is there from start, during and after the construction process to inform and instruct you, Pool School as we call it. We take great pride in not only listening to your current needs and wishes, but also in adapting those desires into a serviceable and functional outdoor living environment. We design each pool unique to it’s environment and placement while combining your design/features wish list. Not every pool is the same, and your budget will determine what all might go into the project. Just a pool, and does not include an attached spa. 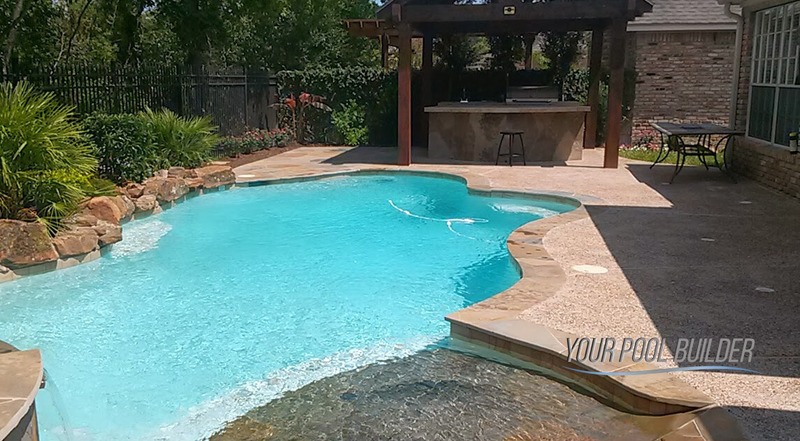 Exclusive custom gunite pool pricing, combined with a top rated Texas pool financing lender. Affordable backyard swimming pools! Did we mention that we are swimming pool remodeling and restoration experts? It is true that after so many years of use the pool will need special attention. Let us show you how we have repaired old tile, replaced worn equipment, and upgraded design features for less than the cost of a brand-new swimming pool installation. If your swimming pool was built correctly it can last a lifetime but will need some attention and possible updates throughout it’s longevity. Pool repairs and remodeling covers a large scope of services your pool may need to keep looking fresh. We can also assist you in planning landscaping and other custom outdoor living comforts or features to enhance your design. We are your Point Aquarius, Seven Coves, Willis TX number one choice in pool remodeling services. "Our first pool! We have been wanting to add a pool to our home for many years, and thankfully we picked the right pool company for the job, highly recommended!"